Carnegie Mellon University is partnered with Mastercard Foundation Scholars Program, which has committed $10.8 million to benefit 125 academically talented but economically disadvantaged students from Sub-Saharan Africa. Carnegie Mellon University is part of a global network of 23 Scholars Program partners, comprised of educational institutions committed to developing Africa’s young leaders. Scholars will go on to lead changes in their communities and contribute to meaningful transformation across the continent. 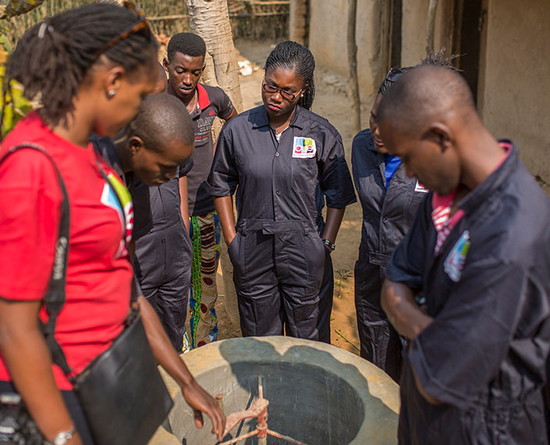 The MasterCard Foundation Scholars Program is educating and empowering nearly 30,000 young Africans to be leaders in their community and effect positive change in society at-large. CMU was recently added the Scholars Program with a commitment from The MasterCard Foundation to support 125 students from economically disadvantaged communities that have an exceptional academic record, high leadership potential, and a passion to give back to their community. The Scholars Program at CMU is a 7-year commitment, beginning with its first cohort in August 2016. It will provide a holistic educational experience to students by supporting them through comprehensive scholarships, leadership development, career guidance, community service projects, and lifelong engagement through our strong alumni network. Academic talent — Scholars value learning and have the drive to complete their education. Commitment to giving back — Scholars have a demonstrated a commitment to improving their communities. Potential to lead — Scholars will become role models, mentors, and change makers. In order to be considered for the Scholars Program, students must first be admitted to one of CMU-Africa's degree programs. Upon admission, students will be invited to fill out a financial aid application form which will assess their financial status as well as their leadership potential and commitment to serving their community.